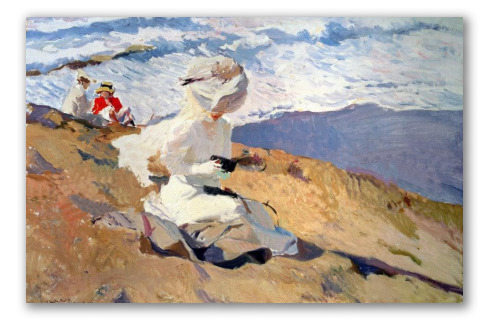 "Biarritz Snapshot" by Sorolla, Impressionist Painting. 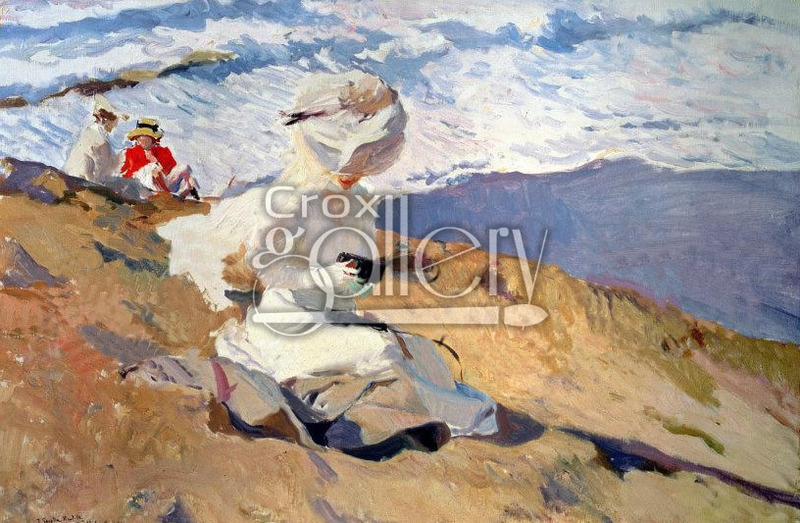 Snapshot in Biarritz by the Spanish impressionist Joaquin Sorolla y Bastida. The painting depicts a woman dressed in white. She is reading a book while relaxing, seated by the sea. The stokes of color and the landscape belong to the unique illustrative style created by the artist.